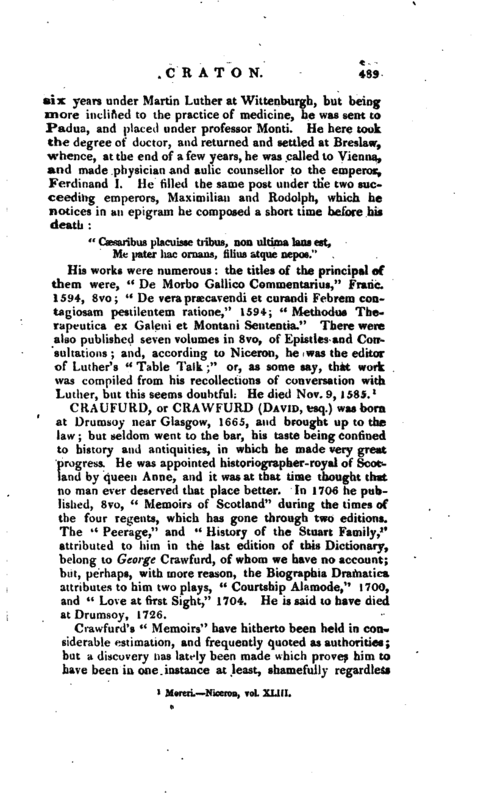 WORDS: BIOG: Craufurd, David, Esq. was born at Drumsoy near Glasgow, 1665, and brought up to the law; but seldom went to the bar, his taste being confined to history and antiquities, in which he made very great progress. He was appointed historiographer-royal of Scotland by queen Anne, and it was at that time thought that no man ever deserved that place better. 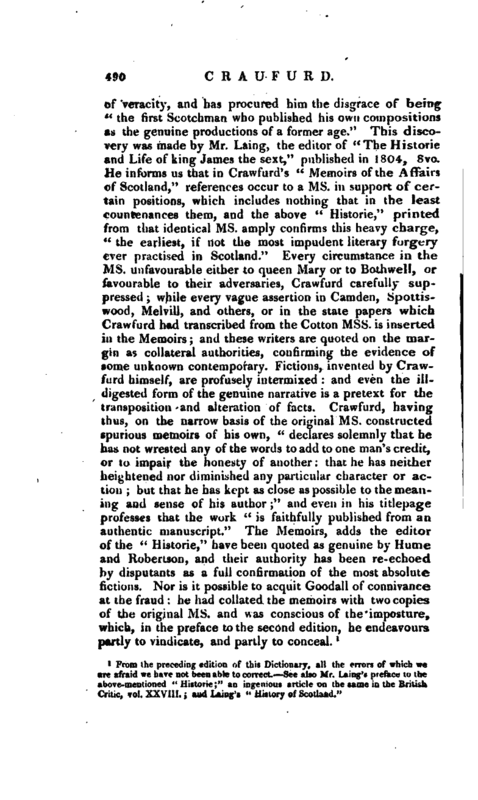 In 1706 he published, 8vo, “Memoirs of Scotland” during the times of the four regents, which has gone through two editions. The “Peerage,” and “History of the Stuart Family,” attributed to him in the last edition of this Dictionary, belong to George Crawfurd, of whom we have no account; but, perhaps, with more reason, the Biographia Dramatica attributes to him two plays, “Courtship Alamode,” 1700, and “Love at first Sight,” 1704. 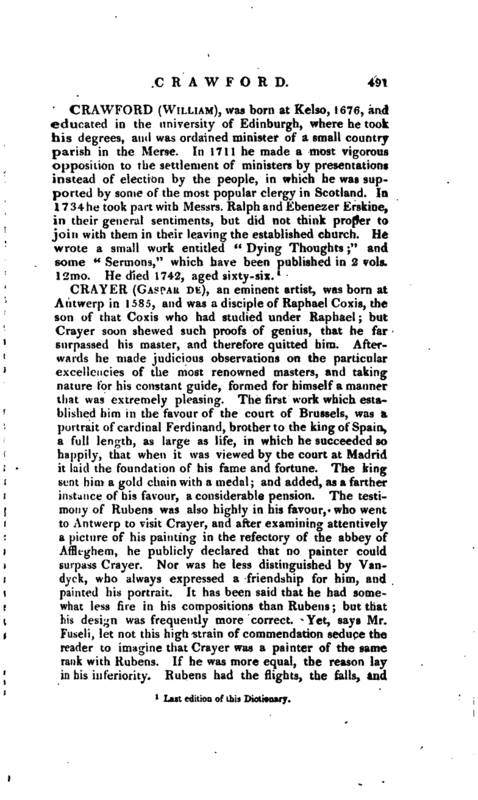 He is said to have died at Drumsoy, 1726.